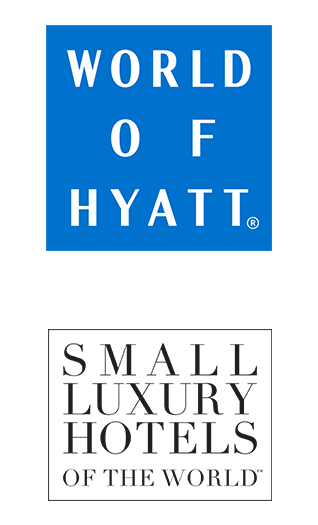 World of Hyatt members can now earn and redeem points at participating Small Luxury Hotels of the World. Boheme Hotel, Mykonos, Greece Opens in new tab or window. We understand that not every trip is the same. Sometimes you need a bigger hotel, a highrise in the city center with every amenity. Other times you want something smaller and more intimate. Thanks to our new relationship with Small Luxury Hotels of the World, you have more choices and can get rewarded for them, when you book through Hyatt. World of Hyatt members can earn 5 Base Points for every $1 USD spent on qualifying room rates and can redeem points for free nights at participating SLH hotels. It doesn't stop there, members can also enjoy exclusive in-hotel benefits when staying at a participating SLH hotel. Explore some of the 165+ participating SLH hotels below. This is only the beginning, new SLH hotels are being added so keep checking back. *SLH participation is subject to full terms and conditions. See them here.